This car became legendary, though perhaps "infamous" is a better word for the Pinto's reputation. The Ford Motor Company has faced a good deal of criticism for their choices in that case. In this class, we're going to be looking at the decisions, motivations, and options available to corporations, businesses, and business-people. Let's start doing that right now. The case of the Pinto serves us well because it is far enough in the past that we don't have to guess about the consequences of their actions, and we have some documentation of the factors which lead them to make the decisions that they did. In this case, Ford had a need to compete. They were in danger of being beaten in the marketplace by foreign imports. At the time, Ford was making a variety of large cars (like the , and smaller, cheaper, lower-quality cars were entering the US market. If Ford wanted to compete with these rivals, they needed to come up with a car that fit into that bracket. They came up with the Pinto. This car would have strict price and weight criterion. It also needed to be out soon. This necessitated that Ford compress the development schedule for this car. If Ford didn't push that development schedule, then the car would not be able to hit the market before new NHTSA safety regulations went into effect. 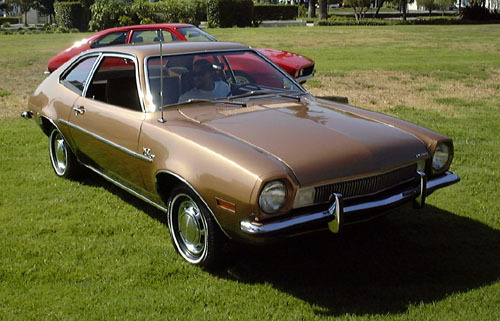 Ford knew that the Pinto had failed those tests, so they needed to get it into the hands of consumers as soon as possible so that they could meet their price criterion and avoid costly redesigns and alterations. Ford judged that they would make the most money by putting the Pinto on the road as-is. They judged that they would be able to sell enough of the un-altered Pintos to make up for any civil liability they might incur as a result of their customers dying in fires caused by the Pinto's dangerously flammable design. The motivation here seems to have been making a greater profit from the sale of Pintos. If Ford was really more concerned with making some extra profit than they were with preventing their customers from dying in fires, then it seems that they had the wrong motivations in mind when they made the choice. After all, aren't people more important than profits? Well, for a business, maybe not. The dominant view in business has been the Stockholder view. This view requites that businesses (and publicly-traded corporations in particular) have an obligation to increase profits for the benefit of stockholders. They don't have an obligation to save lives or prevent deaths unless this is required by laws or it leads to greater profits. According to this view, the Ford Motor Company had a duty to follow the law, and they did not have any obligation to make the Pinto any safer than the law demanded. This seems a bit inconsiderate, but it has been the dogma of the business world for many, many years. How can business-people defend decisions which effectively sacrifice people's lives for the sake of profits? Your next reading is a classic paper from Milton Friedman. In this paper, he will give an argument in favor of the dominant Stockholder view.